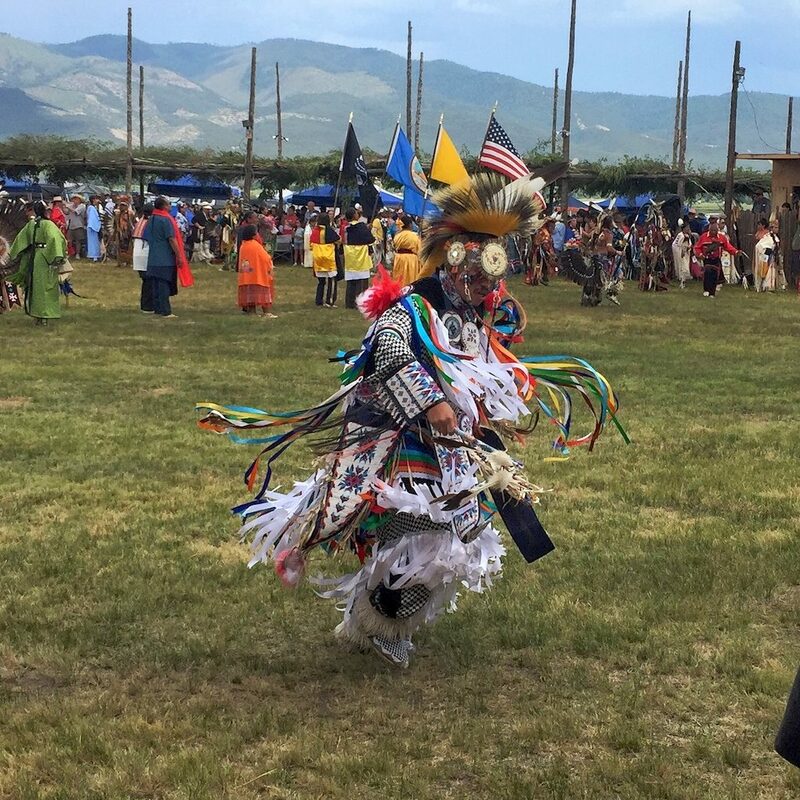 I hadn’t really intended to go to the Taos Pueblo Powwow. In fact, I didn’t know anything about it until we saw a sign while wandering about the historic district of Taos. So it was sheer luck that I was there at the right time for the Powwow, and I’m sure glad that I was! It was very cool to see, and there’s a lot more to it than I even had time to enjoy. I love the elaborate costumes! The Powwow has a number of contests for the drum circles and various types of dances, so there’s a whole schedule of events. If you’re only going to be there a short time, though, a really great part to catch is the Grand Entry. This is where you get to see all of the costumes, and hear all of the musicians! This is kind of like a parade, where all of the participants in the dancing come into the center of the area, group by group. They all dance along as they go, and you get a wonderfully diverse and colorful procession, with many different types of costumes. Some of the dancers were very energetic! They also have the different drum circles take turns providing the music during the Grand Entry. They’ll introduce them one at a time, saying what tribe they’re from, and that group plays and sings until it’s time for the next. There were 15 different drum circles when I was there. It’s a peek into a different world! This was another of those times when I felt like I was getting the tiniest little glimpse of a totally different life. Each tribe had their own styles of dancing, music and costumes, which were part of their unique heritage. I have no understanding of this heritage, but I’m sure that what we see at the Powwow is just the surface of a whole body of traditions that are deeply meaningful to people. The dances and music at this event is the part that they choose to display to the public. It’s like a tiny peek into another world! Getting the little ones involved! From listening to people at the event, it seems there is a “circuit” of powwows. Different groups have their powwows at different times, and some people travel from one to another — dancers, musicians, and vendors. 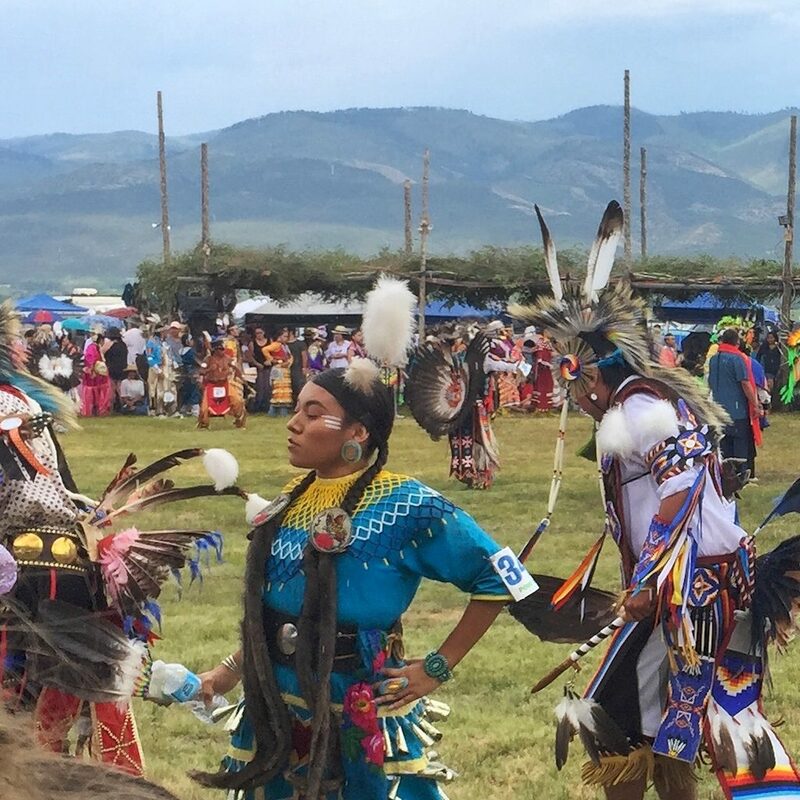 This was the 32nd annual Taos Pueblo Powwow, and it ran July 7-9, 2017. I’m not sure of the dates in other years, but you can find out on their official website. 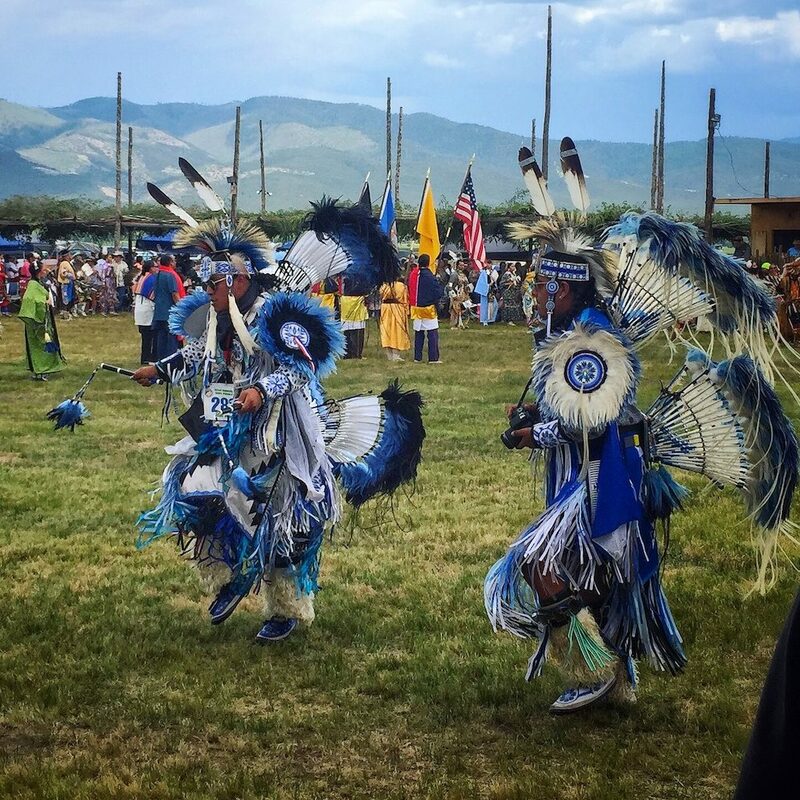 This Powwow is hosted by Taos Pueblo, so it’s on their property, just outside the town of Taos. Don’t take the road that leads to the historic pueblo. That’s a pretty amazing place, and well worth a visit! But that’s not where the Powwow is. To reach the event, keep driving north as though you’re going to Questa, and you’ll soon see the turnoff to the right. They had very obvious signs posted, and it’s not far out of town. The entire Powwow lasted for 3 days, and I was only there for a portion of one day. We were told by people there that the dancing continues late into the night. It would be fun to stay for more of it sometime, and they make that easy by letting you camp right on the grounds. The camping area was basically a big field where you can park your camper or set up a tent. Food and drink were available from various vendors, and there were porta-potties set up. Camping there was $15. 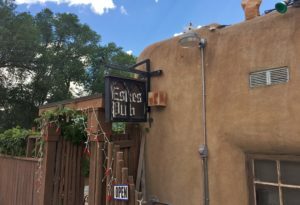 Eske’s Pub in downtown Taos makes the best green chile beer that I’ve had, so it’s now my regular stop. They have food too, but I honestly can’t remember what I’ve eaten there. 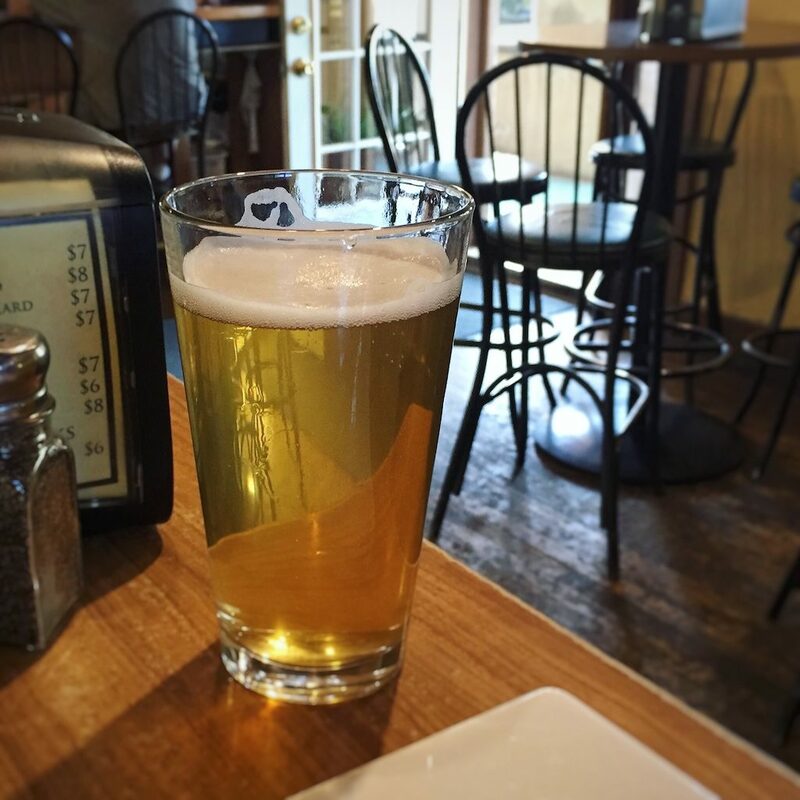 The memorable thing is the beer, which they make themselves. Not everybody likes the green chile flavor with a hint of heat, but I love it! 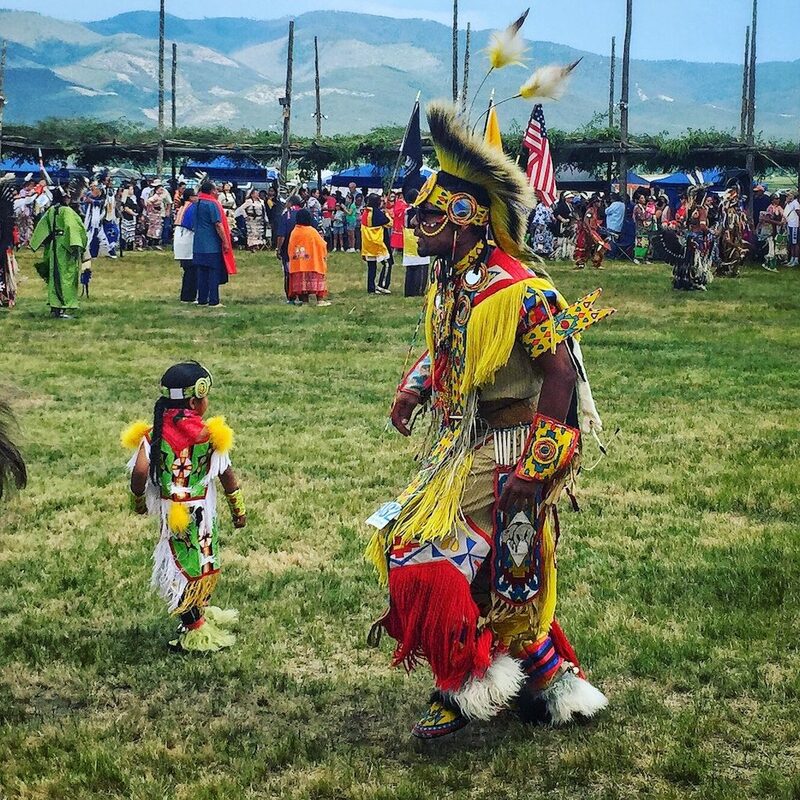 Have you ever been to the Taos Pueblo Powwow, or one somewhere else? I’d love to hear about it in the Reply section below! Thanks!